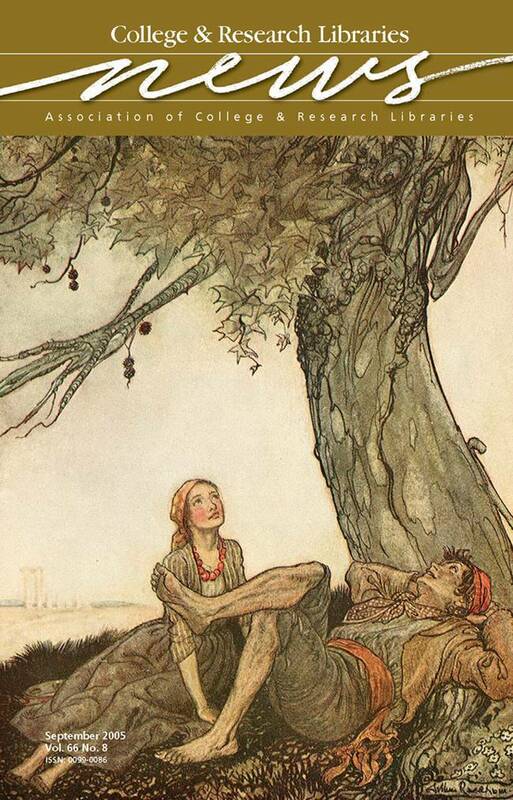 The cover illustration, The travellers and the plane-tree, by Arthur Rackham, is from a 1912 edition of Aesop’s Fables (London: William Heinemann/NY: Doubleday, Page, and Co.) held in the Carlson Fable Collection of Creighton University’s Reinert Alumni Library. The collection is a donation from fables scholar Fr. Gregory I. Carlson, professor of classics at Creighton University. Comprised of more than 3,000 books and over 1,300 fable-related objects, the Carlson Fable Collection is international in scope. Titles include translations, critical texts with variant versions, pop-up books, readers, song books, rebus books, religious books, and primers. Twenty-four languages, including Aztec, Malay, Lithuanian, and Urdu, are represented in the collection.